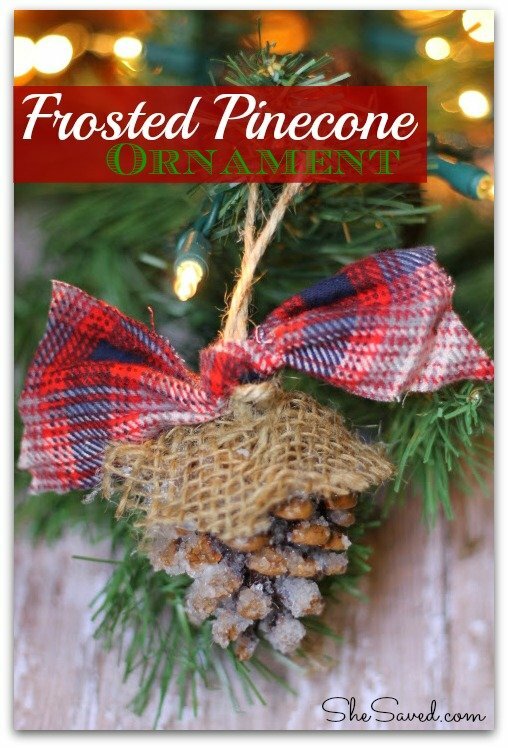 This beautiful frosted pinecone adds a natural touch to your tree no matter what theme or colors. Add to a holiday wreath or brown paper wrapped package to add a pretty embellishment. 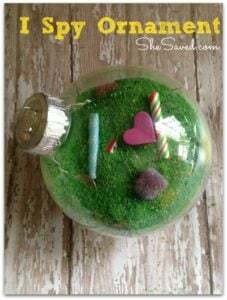 This project is simple and inexspensive while adding an old fahioned feel to your Christmas decor. Gather pinecones from your yard (be sure to bake before using as decorations) or pick up a cinnamon scented pack from your local craft store to add another layer of holiday cheer. If you pick up pinecones instead of purchasing at the store you will want to prep them first to remove debris and bugs- Shake, gently tape pinecone to remove debris, then bake for 1 hour at 250°. Allow to cool completely. 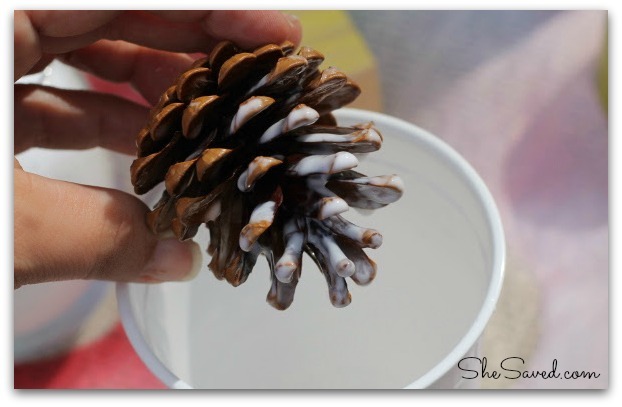 Combine 3 parts glue and 1 part water in a cup or bowl that will fit your pinecone. Place epsom salt in a bowl. Hold pine cone pointed tip down and dip into glue mixture ⅔ of the way up. Tap gently on the side of the cup to remove excess drips. 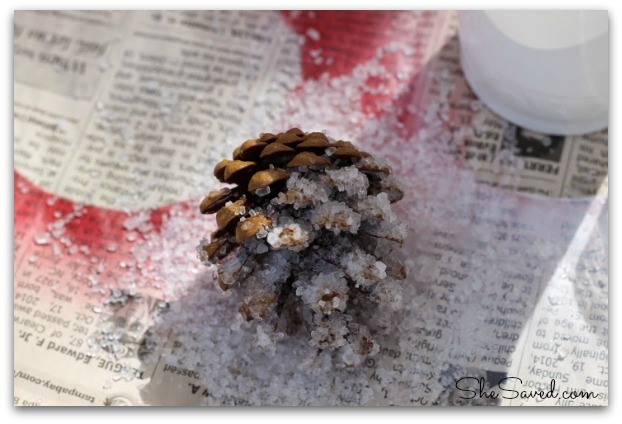 Immediately dip, roll, or spinkle pinecone in epsom salt to coat well. Lay pinecones on newspaper and allow them to dry completely. Cut a 3”-4” length of twine to use as a hanger, affix it to flat wider end of pinecone. Cut a circle of burlap about the same circumfrance as the bottom/flat part of your pinecone, cut a small x in the center. 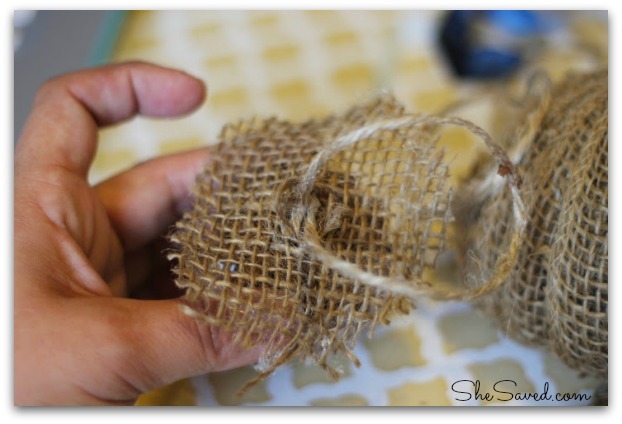 Apply a circle of hot glue to the wide end, pull twine through x in burlap. Press burlap into glue, gathering it up a bit as you go. 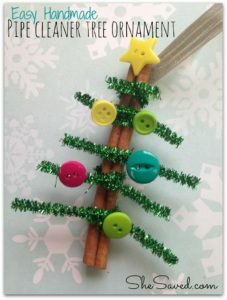 Cut a strip from a piece of flannel or use a pretty plaid ribbon to add a bow and some color to your ornament.